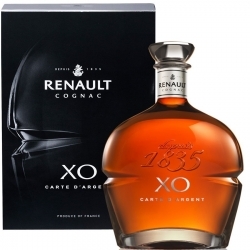 The iconic Cognac Renault Carte Noire Extra Old blend was created in 1876 – making it one of the oldest cognac recipes still in use. 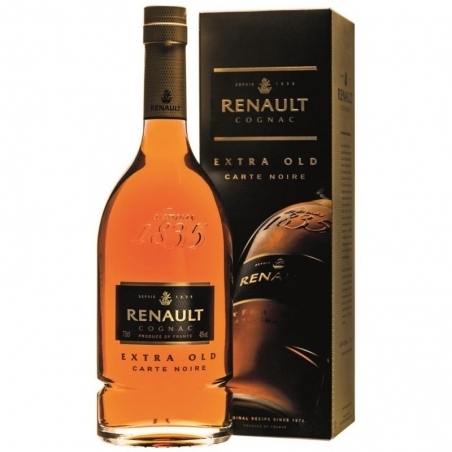 Today, Renault Carte Noire Extra Old is still blended using this same recipe. 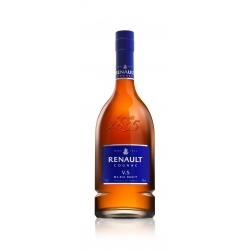 As a result of this unparalleled history, Renault Carte Noire has been and still is the reference point for quality among cognac connoisseurs around the world. 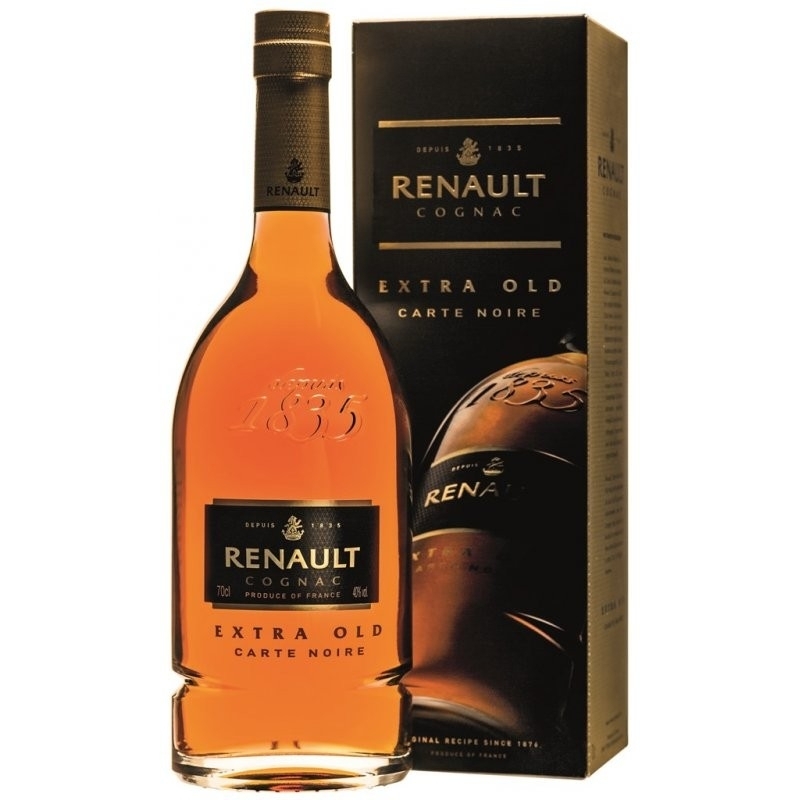 Renault Carte Noire Extra Old is created by blending more than 50 different, carefully selected eaux-de-vie: Grande and Petite Champagne crus impart a rounder, smoother and longer finish, and Fins Bois adds undertones of fruits, flowers and spices. When a bottle of Renault Carte Noire Extra Old is opened, it is 12-13 years old on average. Appearance: Rich amber with a nice shine. Aromas and flavors: Toasted wood and grey pepper. Powerful with ripe fruit notes, raisin, chocolate and vegetal hint. Texture and finish: Well-structured, wood and prunes, full-bodied, slightly spicy (cinnamon).